Our first glimpse of Dawn Landes at the Songbyrd Music House on November 4th, came when she joined opener Chris Stills for “That’s Cool’, where she played guitar and provided backup vocals. After Chris handed off the reigns, Dawn kicked off her 12-song set with the title track of her fifth album, Meet Me at the River. She couldn’t hear the sound on the stage, so in the beginning she paused the song and was ‘a bit frazzled’ chatting with the sound guy across the club to make it all work seamlessly. Even though she couldn’t hear her instrument and vocals, she was pleased to be in a basement, so she could shout loud. 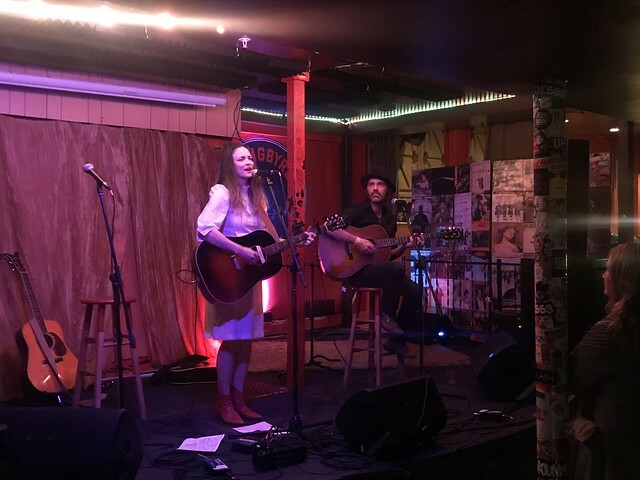 Next came “Try to Make a Fire Burn Again”, a pure country ballad about second chances in love, sweetly whispered and hummed for great effect, with the intimate Songbyrd crowd taking notice. Then her single, “Traveling”, about setting off and enjoying the journey, something we were about to do. Born in Louisville, Kentucky, Dawn lived in Brooklyn, New York for many years where she started her career as a folk rock and pop musician. Now she lives in Nashville, and through that influence, her music on the latest album has morphed to a more classic country sound, prompting American Songwriter to hail her as ‘a new darling of country’. She collaborated extensively for the album, produced by Fred Foster (Country Music Hall of Famer) with collaborations from the likes of Eddie Bayers, Charlie McCoy and Bobby Wood. Yet, for this show, only one guitarist joined her on stage. She told a story of performing for the first time at the Grand Ole Opry and learning that they don’t allow drums. She was mystified how to make her set work, until someone showed her a simple beat the bassist could play that could fill in the gap. 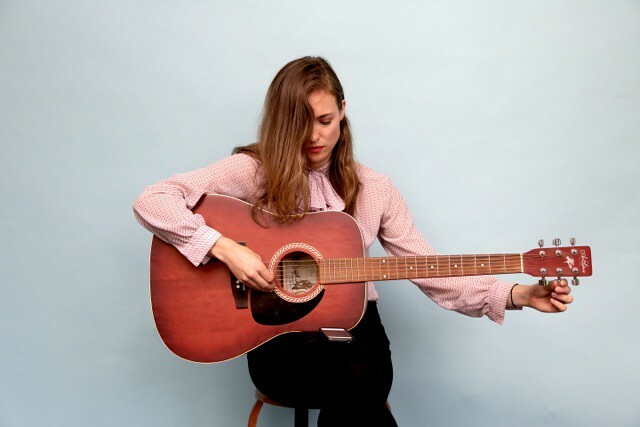 Later she played “Bluebird”, from a previous album, and though not country per se, it’s a beautiful, melodic song about chasing what you desire. She had a bit of a gap between albums, attending to family (now with an 18 month old baby), before making the new album and starting her tour in DC. She’ll also perform with the likes of Mary Chapin Carpenter in the days ahead. She also played a couple of cover songs, cementing her country influence, like Dolly Parton’s “Longer Than Always” and a Jimmie Driftwood cover (on the new album), titled “What Is the Color of the Soul of Man”, inspired when Jimmie witnessed African Americans being denied the right to vote. She ended the evening with “Keep On Moving”, about moving and shaking and living your best life, something we felt confident doing after she smiled with a thanks and moved on to the merch table to chat with new admirers, who were about to live their best life, buying a well-pressed new copy of her album. I suggest you do the same, pair it with a swig of whiskey, it will keep you warm.